The dish originates from Valencia, Eastern Spain, and was traditionally a farmers’ food, cooked by the workmen over a wood fire for their lunch. Comprising mainly of rice, the workers would also include whatever else was available in the rice fields such as tomatoes, onions, snails and a few beans for extra flavour and texture. There are many variations of the dish today and there is no right or wrong way to make a paella – a whole lot of fun can be had by throwing new additions into the pan to see how it tastes. The ingredients are all simply down to personal preference. 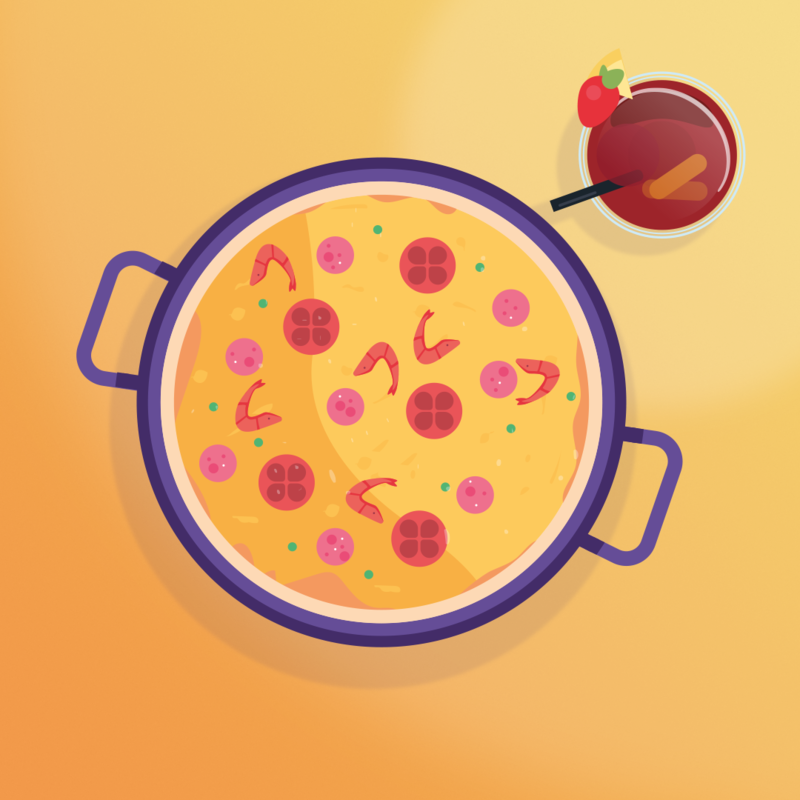 As the dish and the way in which we eat has continually evolved, many restaurants tend to serve paella in portions, however the traditional way would be to eat the dish straight from the pan, with your own wooden spoon.Interestingly, paella is now the generic name of about 200 rice dishes across Spain. Fun fact – paella,or better yet ‘la paella’, is actually the name for the pan it is cooked in and not the dish! If you’re into keeping with traditions, the delicacy is also typically cooked by men. In honour of national paella day, we’ve decided to share one of our favourite recipes with you. This has been tried and tested by some of our team members. You can try it for yourself, here. Or better yet, why not contact a member of our team to book a viewing trip to find your perfect home in the sun? We’ll take you around locations and properties of interest and even let you sample some authentic paella whilst you’re there. What are you waiting for? Call us today on 0800 011 2639.